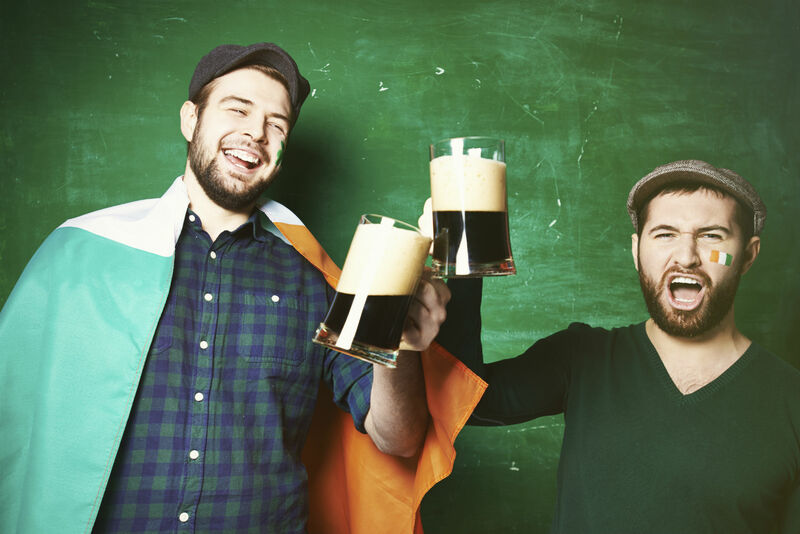 Get Your pub and bar business ready for St Patrick’s Day! St Patricks day is not just for the Irish. People from all of the world love getting involved in the fun- and often rowdy- celebrations. That’s why it’s the perfect business opportunity for all you pub and bar owners out there. Let’s start by covering some events that are going on in major British cities. Manchester, home of Capify, is said to be hosting the biggest St Patricks day event in the UK- wow! In 2015 over 40,000 people flooded the streets to watch the colorful parades. Liverpool, London and Edinburgh are also taking part in celebrations, along with many other cities. As people pass your pub or bar on their way to a St Patrick parade or festival, they will look at the green bunting in your window and the Irish shamrock stickers on the door and know immediately that yours is the place to go later on in the day. You have a whole audience outside your business so go the extra mile to make it stand out. If you are in a prime city position- use it. Not everyone’s business is positioned in the city, but don’t think this narrows your opportunity. If there’s nothing going on in your village or town, create the party! Host a St Patrick’s event where you offer typical Irish foods such as Cottage Pie or Irish Stew. Make sure you also have plenty of Guinness in stock- it would be rude not to. If you’re the only business in the area celebrating this day you don’t have to fight against competition, which is great. However, you may need to make more effort with your marketing so people are aware that there is something going on in your pub or bar. Hand branded flyers out in the street a few days in advance of the big day, this way people can plan their weekend around visiting your establishment. Is there a chalkboard outside? Because you need one. Write down any St Patricks day specials you’re offering. Obviously they must include Guinness. Play some Irish or Celtic music in your pub or bar and open a few windows and doors so the sound drifts down the road. People looking for somewhere to celebrate St Patrick’s day will follow their ears to your establishment. Put themed decorations up everywhere. Post some statuses about your pub or bars events on social media, remind people that you are there. Dress up! Paint clovers on your face, be a leprechaun, anything that will make your business seem fun and appealing. The Irish have many traditions that you could also utilise, whether the bar you own is in the centre of the city, or tucked away in the suburbs. Green: First of all, it’s impossible to think of St Patricks day without picturing green! Make sure your staff incorporate this in their uniform. You could also drape some of your tables in a green material. Many places in America and Canada actually serve green beer in celebration of St Patricks day! Why don’t you try and get your hands on some (or make it yourself? ), this would be a great selling point. Dancing: Irish dancing is another really popular tradition. Hire people to come and perform throughout the day or evening, bring a little bit of Ireland to the rest of the UK. You could also track down any local dance schools which teach this style of performing. Give some of the children in your community the chance to showcase their skills. All their relatives will be bound to come and watch which means your pub will be filled just from this event. Leprechaun and gold: Why not put on a treasure hunt for children? Make the day a fun family affair. Celtic Music: Get a traditional Irish/ Celtic band to come and perform in your establishment. People are used to experiencing live music whilst they drink or eat, but this is a nice change for the day. Guiness/ Irish Cream: If you go to Ireland, one of their key drinks is good old Guinness, that’s why you must offer it on St Patricks day. Irish cream is also another popular choice which is traditional to the country – why not make some cocktails with this as your main ingredient? Marketing is so important when you host a big event so ensure you use every channel available to shout about all the things you will be offering. Although word of mouth will work to some extent, don’t rely on it. Capify is a provider of business finance to small and medium enterprises, if you would like to raise from £3,500-£500,000 for your business, call us today on 0800 151 0980. Our funding is a fantastic option if you want to prepare for a big event, such as St Patricks day. We could help you buy extra stock, decorations or marketing and advertising materials. We offer an advanced online application which will give you a decision about how much can be raised in just 60 seconds.